How do you make a publication for students great? You let students review the publication before it is final! Editors for a day from Ashley Henderson’s class at Owen Middle School. Photo by USFS. 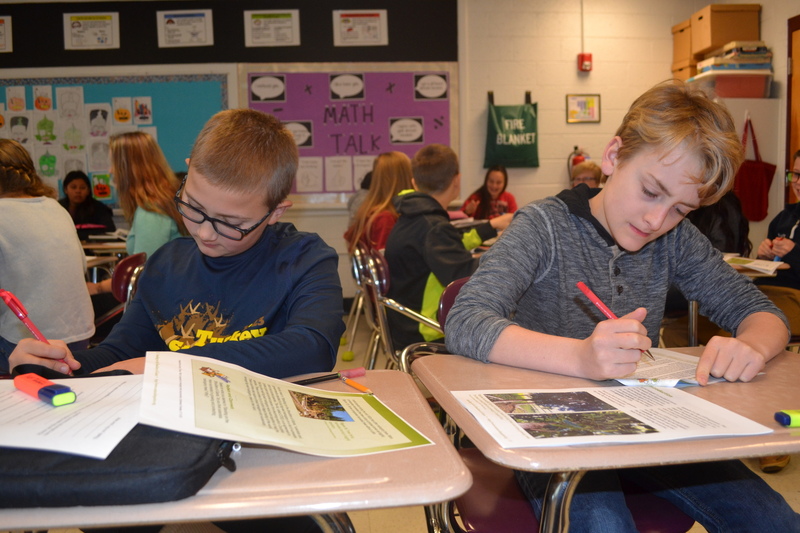 Students at Owen Middle School in Swannanoa, NC became professional editors for a day when they took part in reviewing a U.S. Forest Service publication called Natural Inquirer. The big-leaf mahogany can grow upwards of 200 feet tall and is found throughout southern Mexico, Central America, and South America — as far south as Brazil and Bolivia. Mahogany wood is known for its deep reddish color, durability, and beauty. For centuries, it’s been used to make high-value furniture and musical instruments. 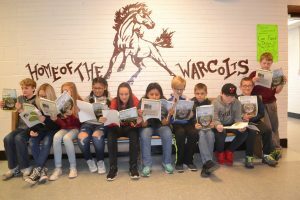 Students read through a draft issue of Natural Inquirer and shared editorial feedback. Photo by USFS. Students were asked to highlight areas in the text that they found confusing. Were there words that they did not understand? What did they learn from the publication? Were the charts and figures easy to understand or confusing? They added comments and other observations about the draft publication. Looking at the students’ comments, they seemed to take the project seriously. Sixth graders made notes about the main points of the article and where they had to break down sections to better understand the context – edits that will improve the final issue. Photo by USFS. 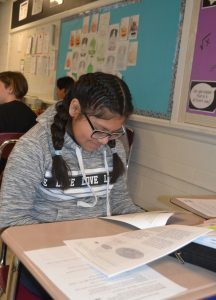 Carl Firley, 6th and 7th grade counselor for Owen Middle School, helped coordinate the review process with Brian Cooke, education specialist with the Natural Inquirer. 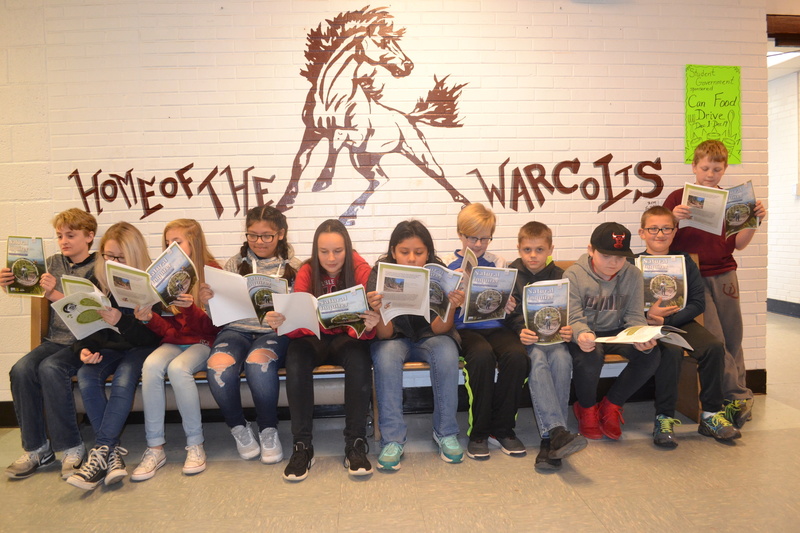 “Owen Middle School has a strong presence in environmental projects, so our natural resources science journal is a good supplemental reading material for students,” said Cooke. The Natural Inquirer program produces a variety of science education materials for Pre-K through 12th grade. Natural Inquirer materials are produced by the U.S. Forest Service, the Cradle of Forestry in America Interpretive Association, and other cooperators and partners.